NX Gamer has released a preview and technical analysis of Horizon: Zero Dawn which can be viewed below. Guerrilla Games’ new PlayStation 4 exclusive. The video gives more details about the game, its protagonist and how the engine has evolved since being used in Guerilla’s previous title, Shadow Fall. Guerrilla Games have recently announced on Twitter that they are going to be showcasing the E3 demo of Horizon: Zero Dawn, live to the public at Gamescom. Horizon Zero Dawn is an exhilarating new action role-playing game exclusively for the PlayStation 4 system, developed by the award-winning Guerrilla Games, creators of PlayStation’s venerated Killzone franchise. As Horizon Zero Dawn’s main protagonist Aloy, a skilled hunter, explore a vibrant and lush world inhabited by mysterious mechanized creatures. Embark on a compelling, emotional journey and unravel mysteries of tribal societies, ancient artifacts and advanced technologies that will determine the fate of this planet, and of life itself. 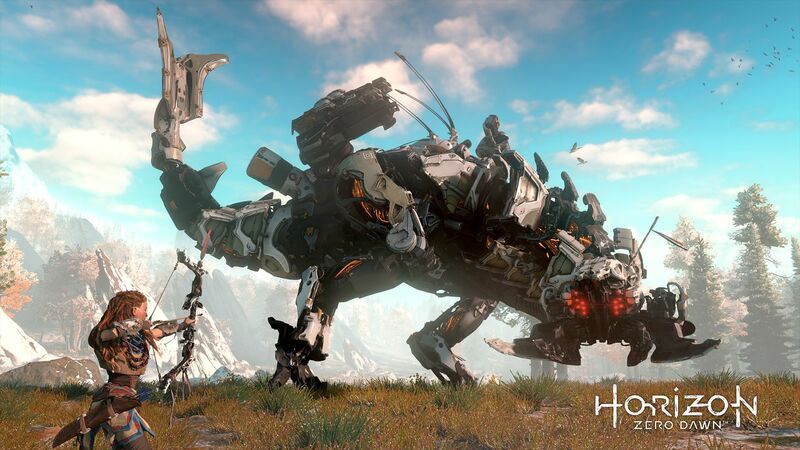 We will bring you any new information on Horizon Zero Dawn, as soon as it becomes available.